These words from Still Reading Khan sum it all up!! The very title of the book got me excited and and being a SRK-fan, I immediately took off to Landmark to get a first hard look at the book. 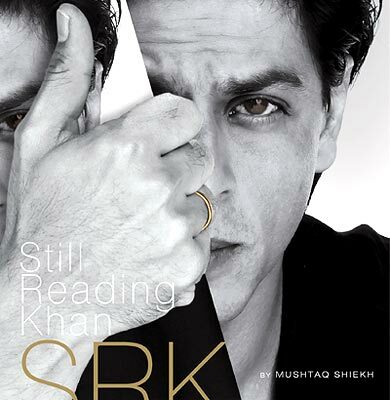 Still Reading Khan, which stands for SRK, is the title of the latest book on the Bollywood superstar, who needs little introduction. Written by Mushtaq Shiekh, the coffee table book, is the tale of a journey that led from a suburban housing colony in New Delhi into the homes, hearts and minds of innumerable fans all over the world, a journey that transcended boundaries of nations, and the artificial barriers of culture. It is a never-ending story of success. It has some rare pictures of Shah Rukh in his younger days, his wedding pictures, college mark sheets etc.. You can buy it online here.